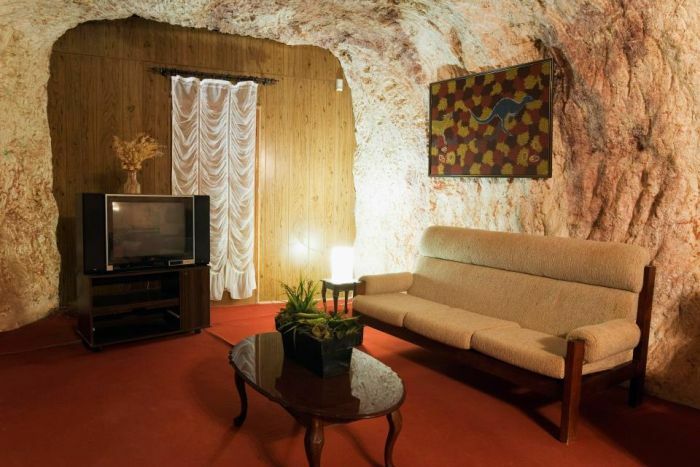 Coober Pedy is a mining town located in southern Australia, in one of the most desolate and waterless places in the world. 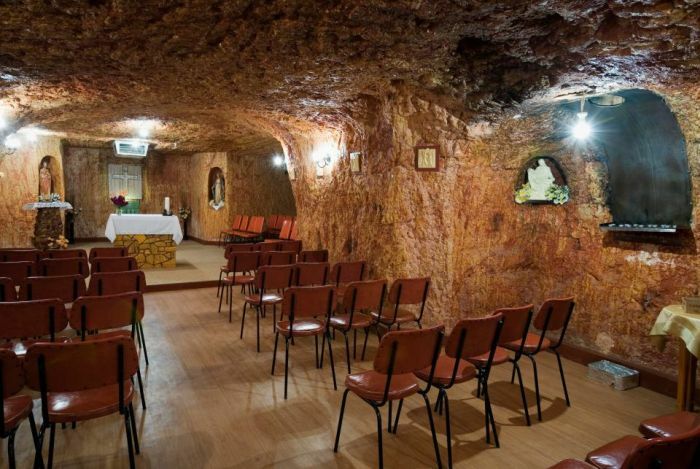 Here, nearly 3,500 people from 45 different countries live underground, at 8 to 22 feet deep below the surface of the earth. Yes, this is an underground city! The extremely high temperatures in the region have caused the population of this area to build a true underground city. Here, you can find everything from the library to the church. 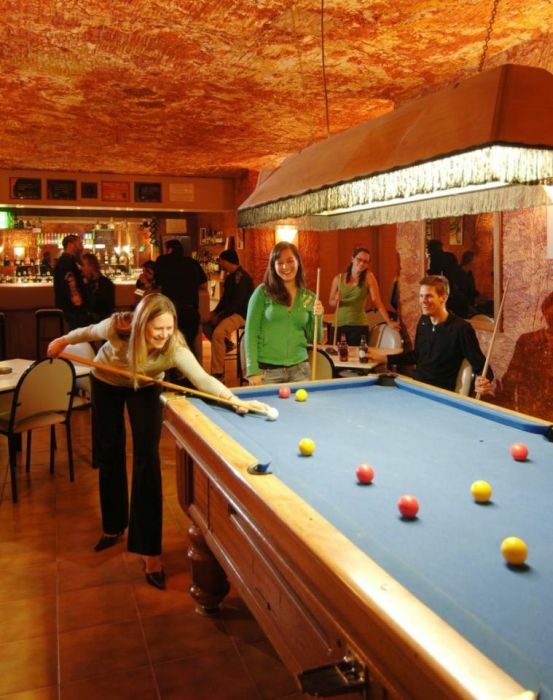 Even more, the residents can enjoy a cold beer at the underground bar. 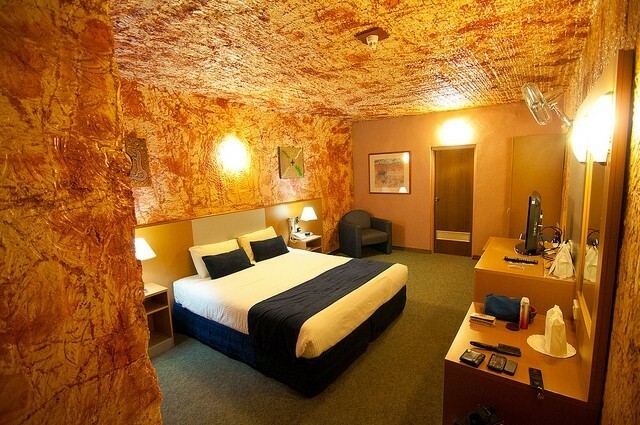 The name of the town, Coober Pedy, comes from the aboriginal “Cooper pity”, which means white man’s home. It all start back in 1914, when William Hutchinson and his father were looking for gold when they discovered a large amount of opal under the ground. So, people from all over Europe came here hoping to get rich. But in order to survive this harsh climate, they had to take things to the extreme: living in the mines was the only options. 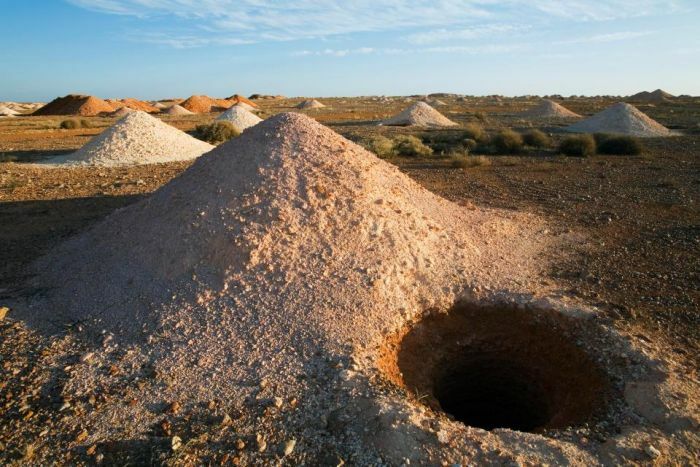 In 1920, the local mining association officially named the town Coober Pedy. 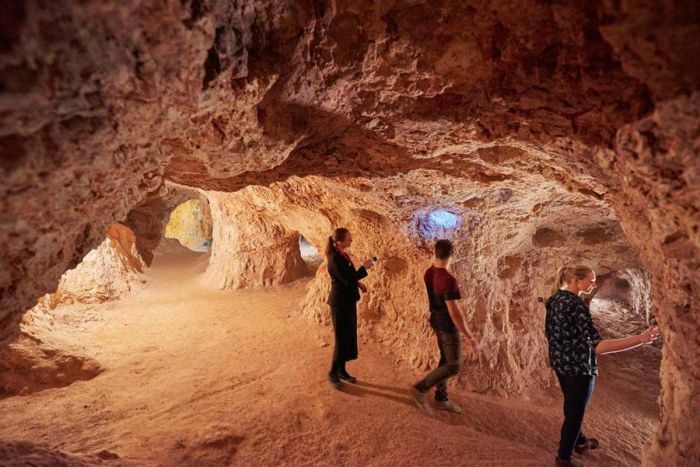 This underground city, also know as the opal capital of the world, is built of sandstone that ensures a cool temperature, even if the above the ground temperatures are up to 125-degrees Fahrenheit. 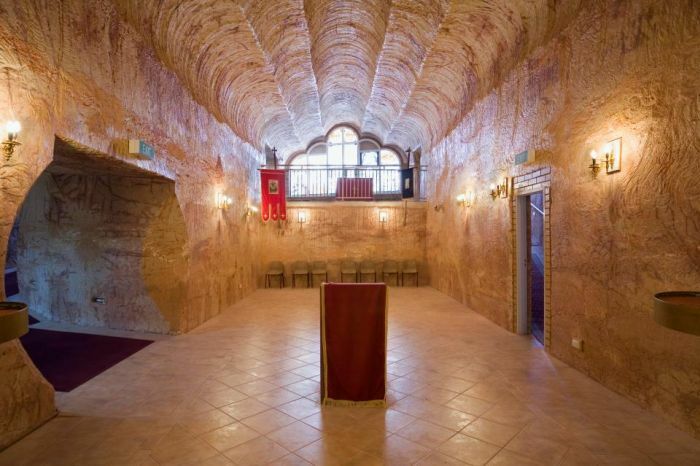 Here was build the first underground hotel that gained international recognition. 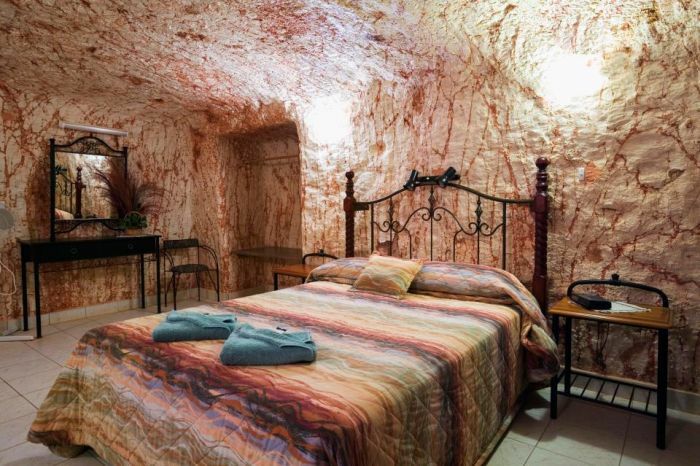 A room at Desert Cave Hotel costs around $100. Now, this is something nice!